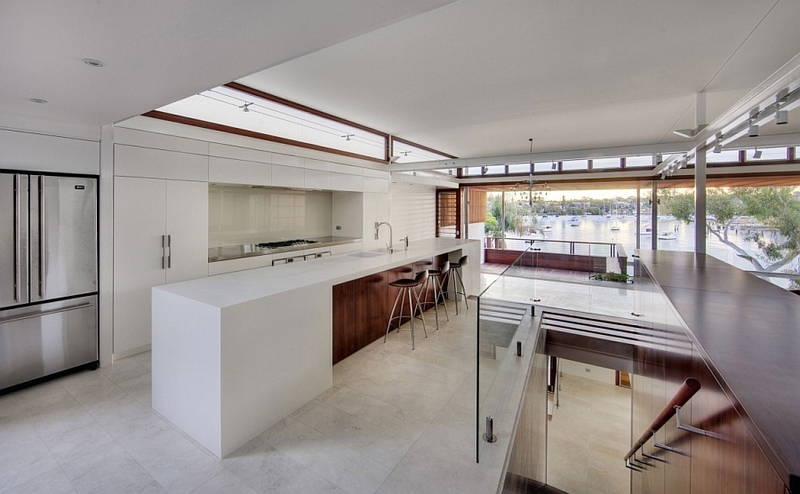 Nestled on the banks of the Parramatta River in the beautiful Sydney suburb of Tennyson Point, this luxurious modern home brings the outdoors inside in a captivating manner. 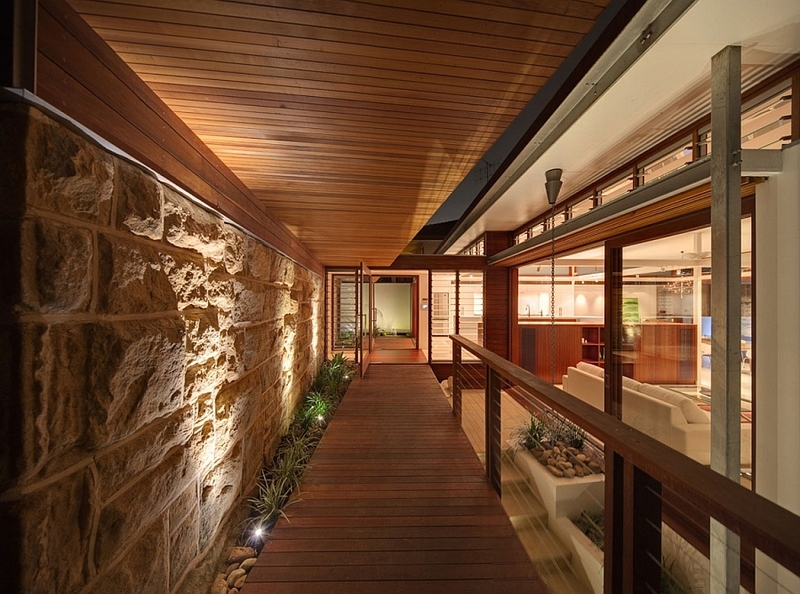 Designed to provide the perfect balance between privacy and open living spaces, the multi-level residence was conjured up and brought to life by CplusC Architectural Workshop. 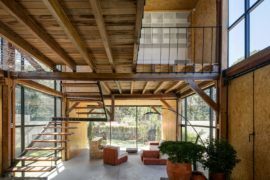 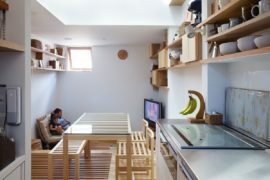 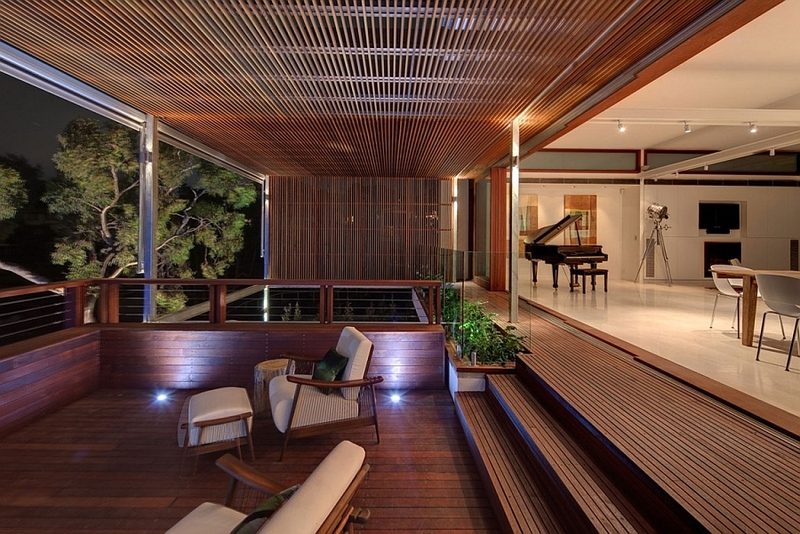 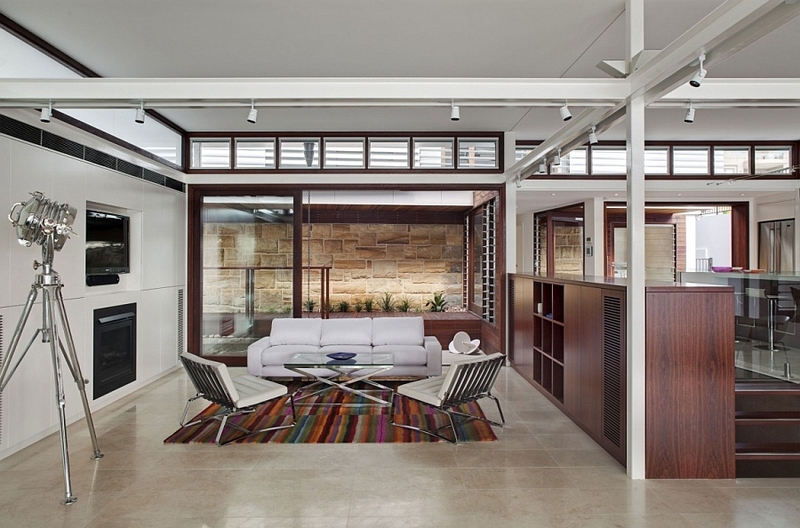 Working with the bones of a sturdy existing structure from the ’60s, architects utilized the latest in prefabricated steel frame technology to expand the living area and give the homeowners a whole new world draped in wood. 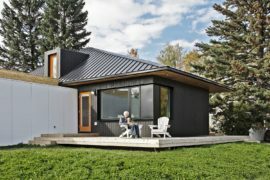 Prefabricated steel frame houses are providing a sustainable and economically prudent housing solution across the globe. 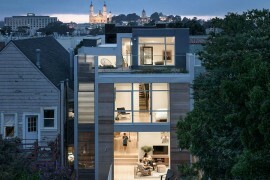 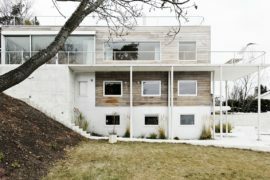 The additional galvanized steel frame added to the structure was entirely crafted off-site, and its addition allowed the designers to fashion a four-level cascading home that opens up completely to the backyard and the harbor. 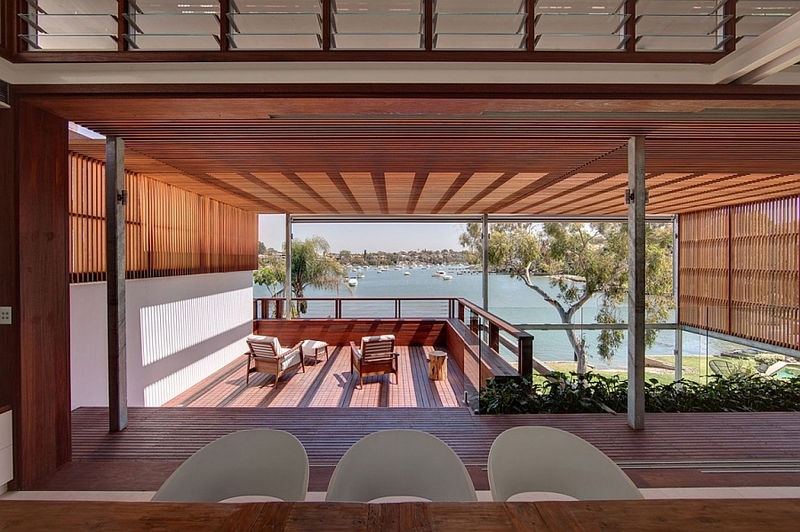 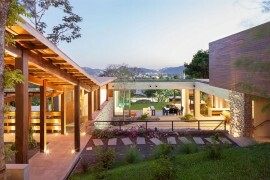 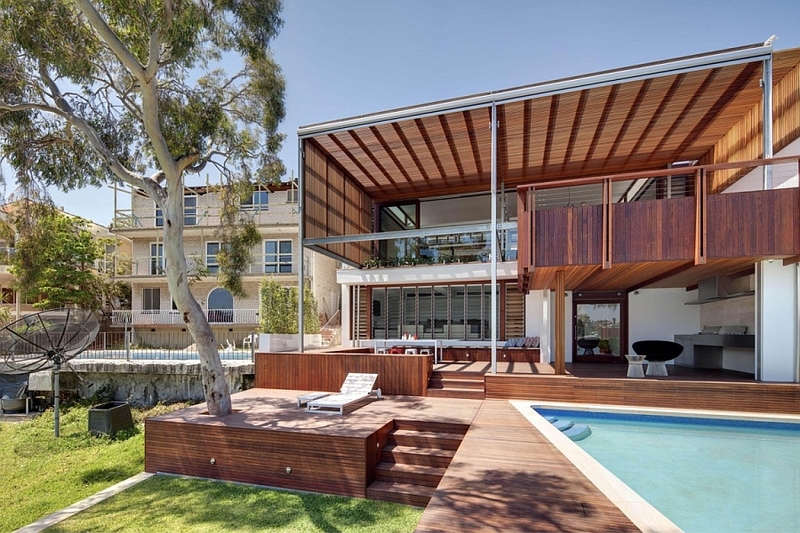 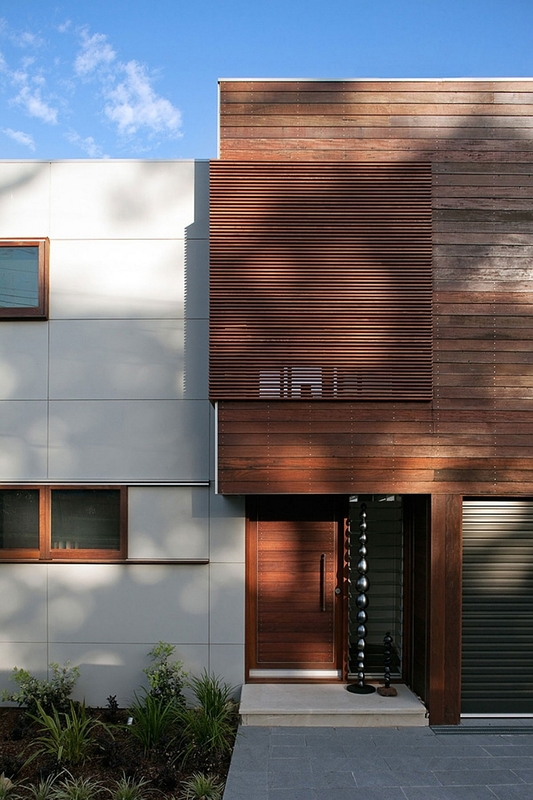 Lovely wooden cladding conceals the bedrooms from the busy street outside, while sweeping deck areas, dining spaces and a series of open sun-lit terraces present a perfect chance to relax and take in the many sights and sounds outside. 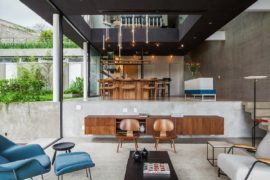 Large sliding doors and glass windows connect the sweeping spaces inside with the kitchen, living room and the recreational areas flowing into one another. 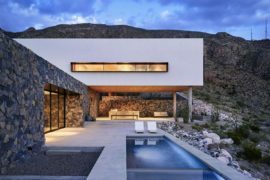 The backyard seems like a mere extension of the living space, thanks to the form of the multiple tiers that gently slope outwards. 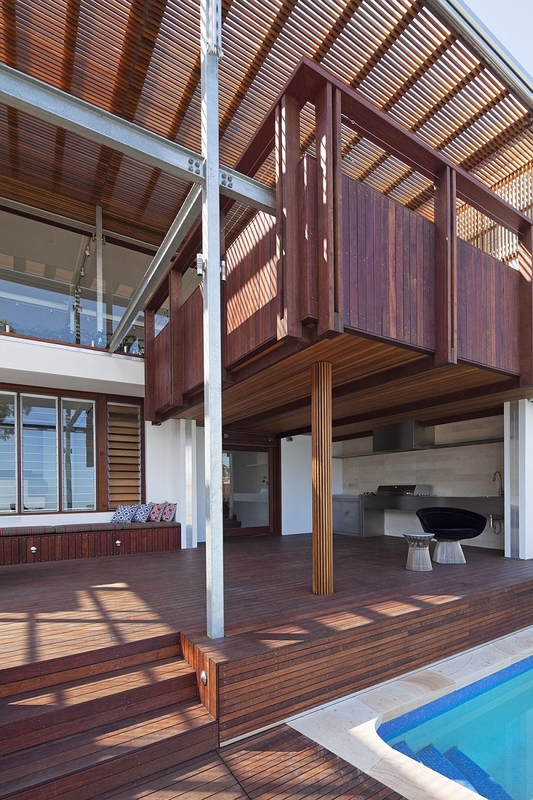 Covered in over 4.5 km of hardwood, it truly is a home for those who love the warmth of wooden surfaces. 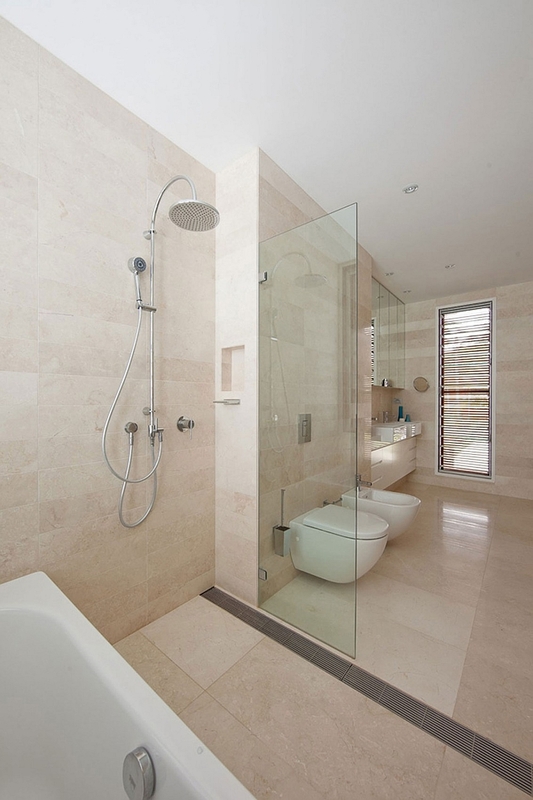 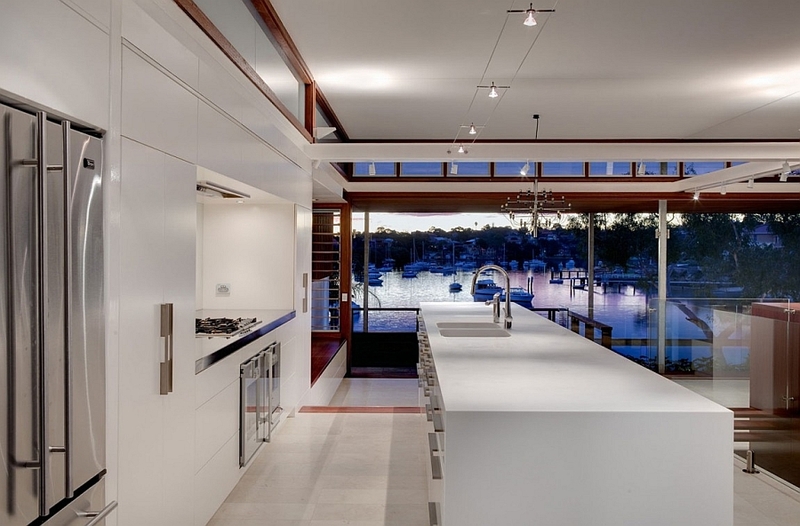 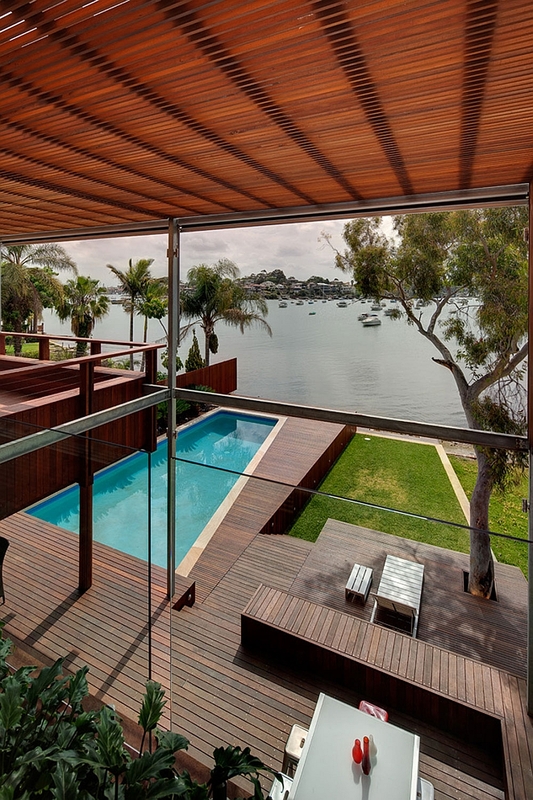 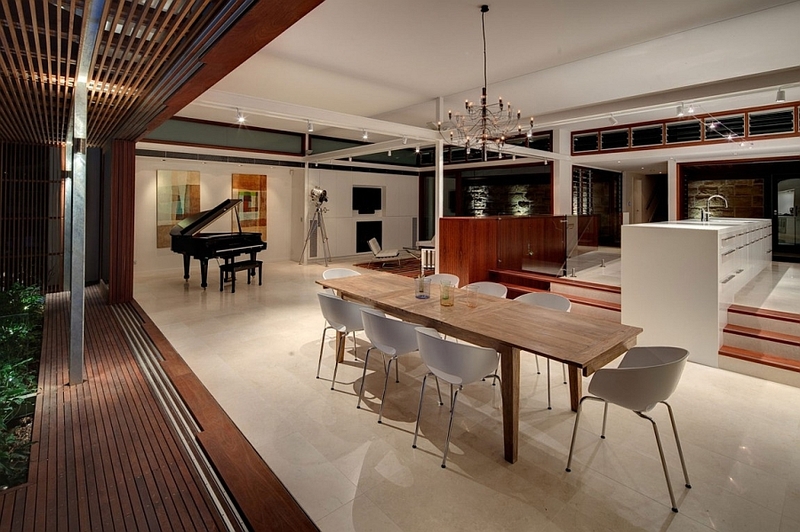 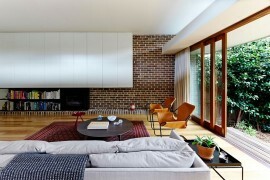 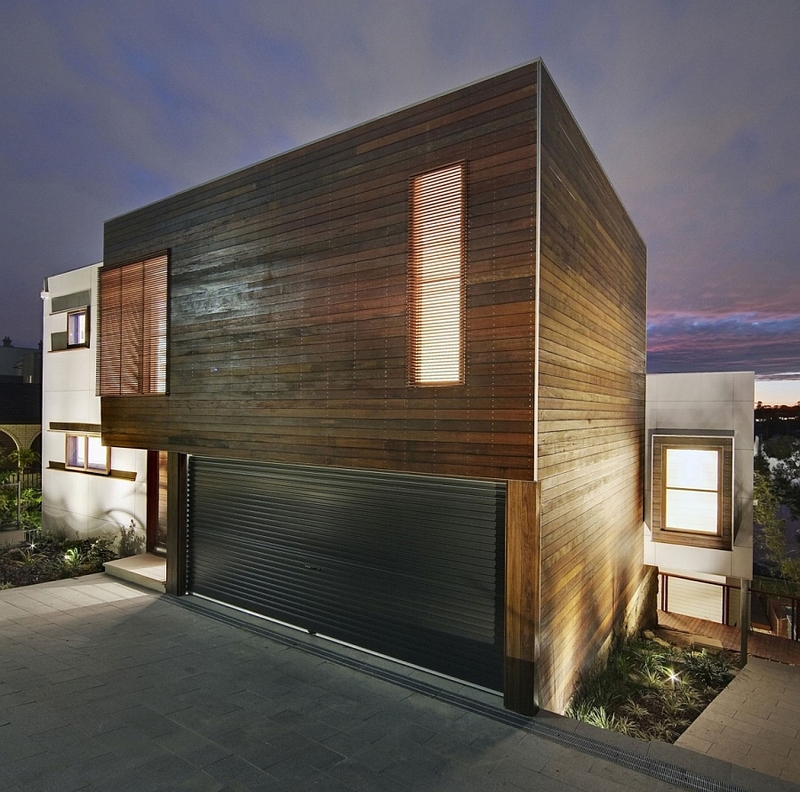 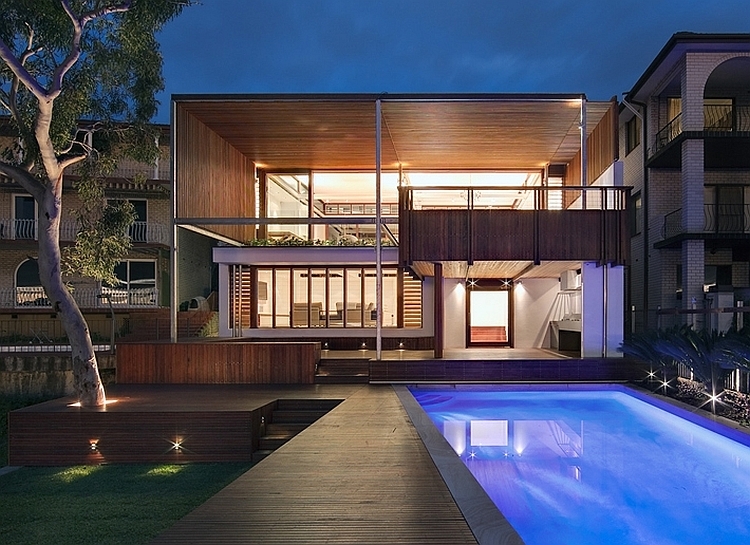 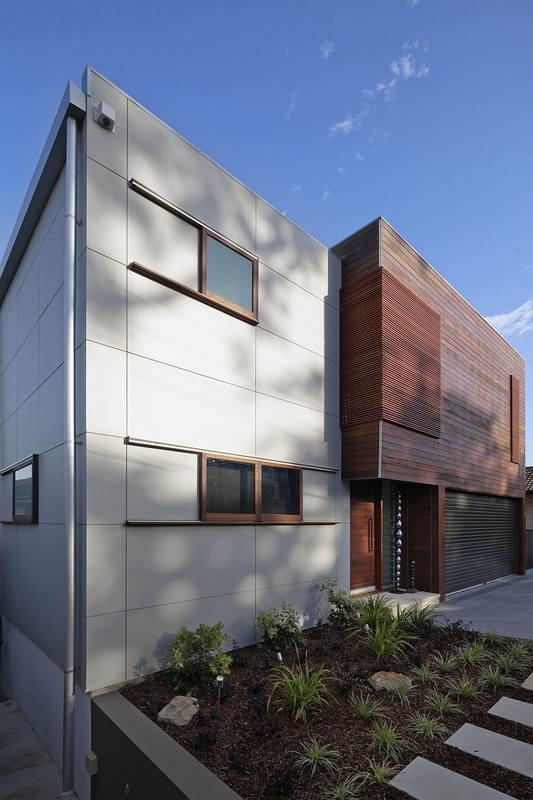 Opulent and organic at the same time, the Tennyson Point Residence truly demands your attention!